Training in various areas of Results-Based Management (RBM), which are offered in face-to-face, online, or mixed modalities. These trainings programs include Masters Certificates, Professional Certifications, Professional Seminars on specific themes, internships, and study tours. Support and coaching of national teams in developing strategic plans and results-based budgets, piloting reforms in public financial management, setting up monitoring and evaluation system, and developing decision support systems. The IDEA Solutions are computer applications to optimize your processes and to support the concrete implementation of Results-Based Management. Consensual planning that is useful for development. Budgets that are aligned with strategic priorities. An integrated approach to support public financial management reforms that shows results. A comprehensive approach to lead programs and projects to concrete results. Demonstrating results and influencing change. Supporting leaders for public sector reform and modernization. We joined forces with University Laval, Canada to create unique Graduate Certificate programs in different areas of expertise related to Results-Based Management. Short-term professional certifications and seminars designed to meet the challenges of the public administration managers. We offer the possibility of preparing and organizing workshops for the specific needs of your institution, across the various themes proposed in our training program catalogue. Several online or semi-attendance courses, thus improving accessibility for a greater number of participants at the national level and in decentralized structures. Working with the IDEA experts, I have been really impressed with their combination of rigorous analytical framework, their applied approach, and frank, but respectful dialogue in the best interest of CDEMA. In that regard I am more than happy to stand in reference for the quality and efficient service they offer. I have known IDEA and its experts for years. I highly value their contribution to the domain of new governance, especially in supporting governments in building monitoring and evaluation systems, and contributing to the advancement of knowledge through quality training programs and publications. Not only have I found serious partners, committed to high-level results and delivering content with great pedagogy and field experience, but also a new family. For me, IDEA are passionate men and women dedicated to the advancement of governance in general, with extraordinary human qualities. I will never forget the IDEA experience, an organization that provides solutions that may surprise clients in complex mandates. A client who has been entrusted to the Institute a very complex and demanding mandate in terms of technical tact and policy, namely the strategy Public Service Reform, attests: "IDEA has joined the list of very rare consultants who have performed, with all our satisfaction, a complex mission with as much realism and respect for Comorian singularities". IDEA is a partner whose expertise, humanism and dynamism we value. It has demonstrated its commitment to improving public sector management around the world over the last twenty years with innovative executive training programs. IDEA distinguishes itself by the quality of its human resources combining a high level of academic training with a vast multicultural professional experience. The organization embodies a sort of city of nations, where ethnicities, cultures and expertise come together to form a team of great richness. IDEA International is a BOLD and OUT OF THE BOX thinking institution that gets tremendous results by challenging the traditional client-consultant interaction! Over the three assignments performed by IDEA for the Agency of Partnership for Progress, the consultants have always demonstrated a professionalism that goes beyond satisfactory delivery of services, a great concern for results, and the desire to develop good business relationships. IDEA’s experts are committed to work with us to effectively implement good project management and monitoring and evaluation practices that will ensure optimal benefits of the projects being undertaken. IDEA has developed and actively placed monitoring and evaluation capability within and throughout government ministries and organizations. Thanks to this sustained effort, M&E has grown to a new level of influence in the field. As a project management practitioner, I have gained invaluable project management insights through short-term training in project management and monitoring and evaluation at IDEA International. IDEA affords its participants an opportunity to have a solid and unique blending and appreciation of theoretical and practical aspects of project management. It’s amazing how things have moved so fast since we started with IDEA. 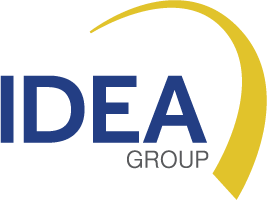 IDEA balances a genuine interest in ensuring product delivery while maximizing client satisfaction through a model that seeks to ensure appreciation of the client context, needs and capacity. They have just the right expertise, flexibility, duty of care and commitment that allows both the Client and the Consultant to have a first-class experience beyond simply a transactional interface. IDEA stands nearly alone in creating, testing, and disseminating monitoring and evaluation data collection and analysis systems. These are two areas of some considerable neglect in the M&E fields. I like to work at IDEA because it gives me the opportunity to develop innovative approaches and methodologies. IDEA has an on-hands and learning-by-doing approach that allows me to help public servants and to change the organizational culture of the agencies I am supporting. In addition, IDEA supervisor coaching and continuous education has enhanced my capability to develop case studies in each project in which I have been involved. But IDEA is not only about excellent professionals and a good working network; it is also about good people. People that love what they do, people that try to do it better every day, and that care for each other in the team. That is not easy to find. I feel very proud to work with IDEA and to have the opportunity to be part of this unique team around the world!